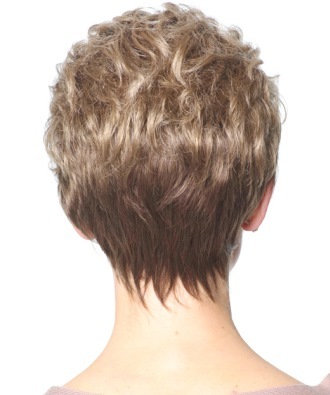 Short waved layers beautifully blend to a neck hugging, tapered nape. Available in 3 cap sizes. Front: 4" Crown: 4" Sides: 2.25 Back: 2.5" Nape 2"